Sometimes during the holidays, students (and teachers, too) just want to have fun! 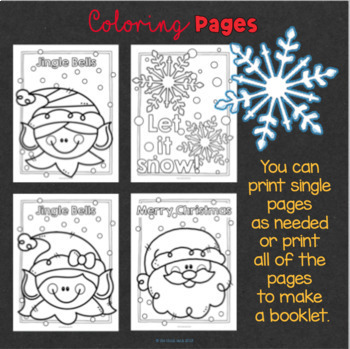 Choose from ten coloring pages to print individually or as a booklet. 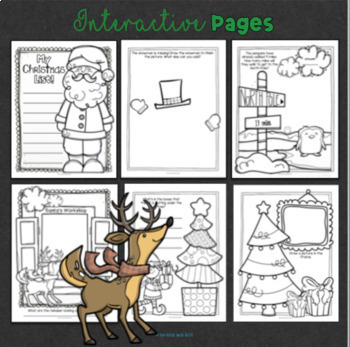 Wait... six of the pages are interactive! Students answer questions or draw pictures on each of those pages. 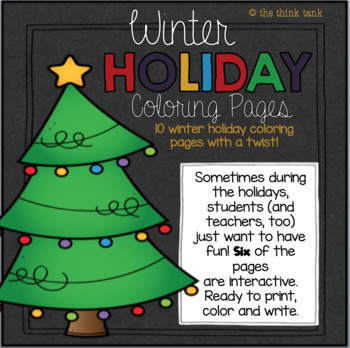 Great to use before Winter Break or give as a gift to do over break. Ready to print, color and write. Happy Holidays.